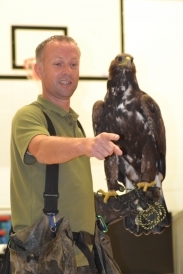 I have more than 30 years experience, training and flying all manner of Birds of Prey. I am very much a 'people person' and well versed in public speaking. Our displays, both static and flying, provide a huge ‘draw’ to any outside event. With birds on static display, we are always very busy talking to the constant flow of people attracted to the RaptorXotics stand. 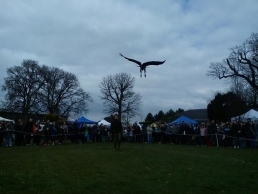 During the flying demonstrations we will hold the attention of all those attending your event! 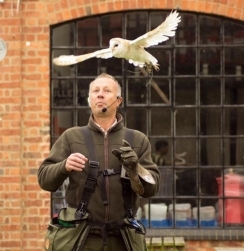 We pride ourselves in the husbandry of our birds, the knowledge we have & the education we can provide, and of course the high level to which we train our birds and the thrill this provides to others. 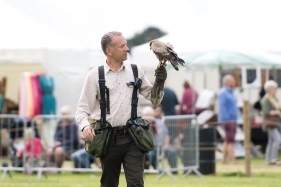 We will bring along to your event several different species of Birds of Prey- certainly Hawks, Owls and Falcons, and often Kites, Vultures or Eagles. Your guests will be wowed by the sublime elegance of a silent flying Barn Owl, the Shear speed of the Falcons and the Majesty of Vultures and Eagles. 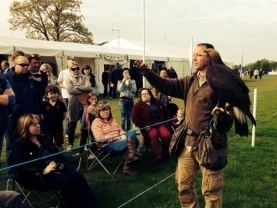 PLEASE CONTACT ME WITH YOUR EVENTS REQUIREMENTS, WHETHER A SCHOOL FETE, COUNTRY FAIR , SHOW OR CORPORATE EVENT. PRICES TAILORED TO YOUR EVENT, USUALLY WITHIN OUR PRICE GUIDE ON THE LEFT. 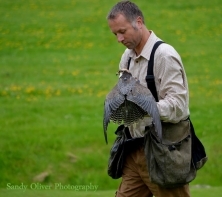 WE ARE ABLE TO OFFER FALCONRY DISPLAYS THAT ARE TRULY SECOND TO NONE. 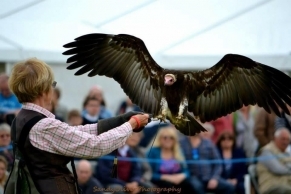 WITH FALCONRY EXPERIENCE OF WELL OVER 30 YEARS WE CAN BRING ALONG AND FLY MANY SPECIES OF BIRDS OF PREY, WITH THE PROFFESIONAL COMMENTARY TO GO WITH IT ! 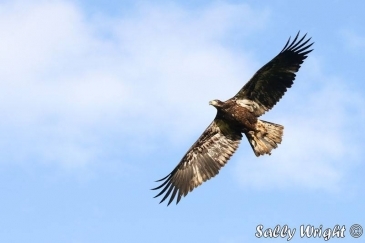 WE CAN 'DOUBLE BOOK' DURING THE BUSY SEASON BY RUNNING TWO FALCONRY TEAMS,THUS AVOIDING DISAPPOINTMENT AS MUCH AS POSSIBLE. HOWEVER, EARLY BOOKING FOR SUMMER IS HIGHLY RECOMMENDED.